Google has become the top deal-maker in the world, according to research. Over the last three years Google jumped from thirteenth place in forging deals to nabbing the number one spot, thanks to a whopping 127 deals it made over this period, Bloomberg reports. To put this into perspective, the figure is more than twice the number of deals it made between 2008 and 2011. The huge increases is the result of a new focus on investment by Google co-founder Larry Page, who took on the CEO job in 2011. 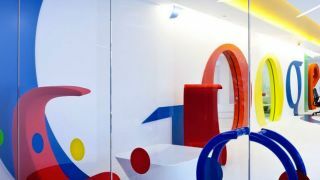 This has led to a more than 50 per cent increase in the size of the mergers and acquisitions group in the last two years, while Google Ventures and Google Capital continue to invest large sums in startups and established firms respectively. Among the acquisitions Google made recently are mapping firm Waze, artificial intelligence startup DeepMind, and smart home appliance maker Nest Labs. These give Google a wide range of potential future products in areas expected to boom. The total value of Google's deals amounts to $17.6 billion (£10.6 billion, AU$19.5 billion). While this is still far behind actual investment firms like Blackstone, it marks a continuing expansion beyond Google's core search engine and advertising business. WPP, an advertising firm, took second place, while chip giant Intel, which previously held the top slot, came in third with 121 deals over the three-year period. Google's arch-nemesis in the mobile field, Apple, only inked 12 deals over this time, but still enjoyed strong growth.